They've been wowing festival and club audiences around the world for the last couple of years with their wild, powerful show, and they are now back with their strongest album so far! Balkan Beat Box – the three-headed, dancefloor-conquering powerhouse principally comprising Tamir Muskat, Ori Kaplan and Tomer Yosef – have been busy since the release of 2007’s devastating debut for Crammed "Nu-Med" (not forgetting last year’s fine remix collection "Nu-Made") honing a sound that mixes musical gene pools more effectively than ever - a sound realised to glorious effect on "Blue Eyed Black Boy". 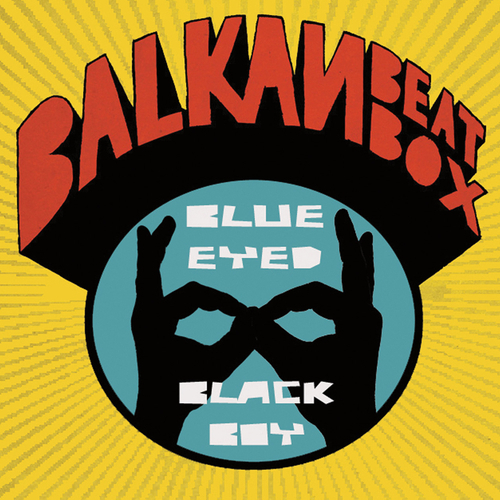 Unfortunately at this time we can't offer all the Balkan Beat Box - Blue Eyed Black Boy tracks as individual flacs, as some of these tracks exceed the shops maximum (9mins) download length.